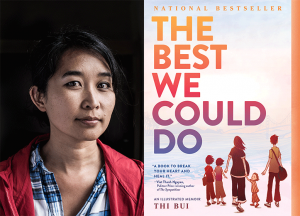 Named to the 2018 Notable Books List for nonfiction for The Best We Could Do: An Illustrated Memoir, author Thi Bui is slated to speak at RUSA’s Literary Tastes author panel at ALA’s Annual Conference in New Orleans on Sunday, June 24. Attendees will enjoy breakfast and a book signing immediately following the event. 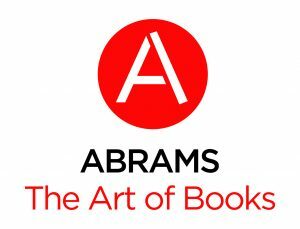 Bui joins author Kathleen Rooney and narrator Scott Brick on the panel to discuss their writing (or performance) process, story line development and inspirations. The panel features authors and narrators that have been named to one (and sometimes more) of RUSA’s Best of Lists for fiction, nonfiction, poetry and audiobook narration in 2018. Born in Vietnam and having immigrated to the United States as a child, Bui studied art and law and thought about becoming a civil rights lawyer, but became a public school teacher instead. Bui lives in Berkeley, California, with her son, her husband, and her mother. The Best We Could Do is her debut graphic novel that expressively illustrates the experiences of her family’s fleeing to the U.S. from Vietnam in 1976. Booklist’s starred review states that Bui’s “graphic-novel debut is a stunning work of reconstructed family and world history.” Read the full review here. In what 2016 Andrew Carnegie Medal for Excellence in Fiction winner Viet Thanh Nguyen calls “a book to break your heart and heal it,” The Best We Could Do brings to life Thi Bui’s journey of understanding, and provides inspiration to all of those who search for a better future while longing for a simpler past. In her interview with Brooklyn Magazine Bui explains the process of how the story was conceived and how it took shape on the pages. This is a complicated story that deals with love, loss, family and what it means to call someplace “home”. Watch her interview with Graphic Policy here. Literary Tastes tickets are available on the conference website or you can add them to your registration with the code RUS3. RUSA’s 2018 Election results are in! One Response to "Author Thi Bui to speak at Literary Tastes"